We want to help you develop great communities of conversation in your area. We provide training, curriculum, and coaching to help meet these needs. We also provide a place to meet other leaders, to share what's working, and to work through problem spots. We're here to help you lead great conversations. Therefore, we want to partner with you, and have an ongoing, dynamic friendship. We believe in cooperation. No single organization can meet the needs around us. Therefore, we want to partner with you! We want to link together all the Brew Theology groups for support, cooperation, and encouragement. As we grow, we will have a directory people can search in order to find new communities where they can make connection. We want to connect others with you and connect together on social media. Learn how to keep a conversation going. Make sure you know how to change subjects. Gracefully deal with participants that might go a little sideways sometimes. These are all things that we can help guide you through. 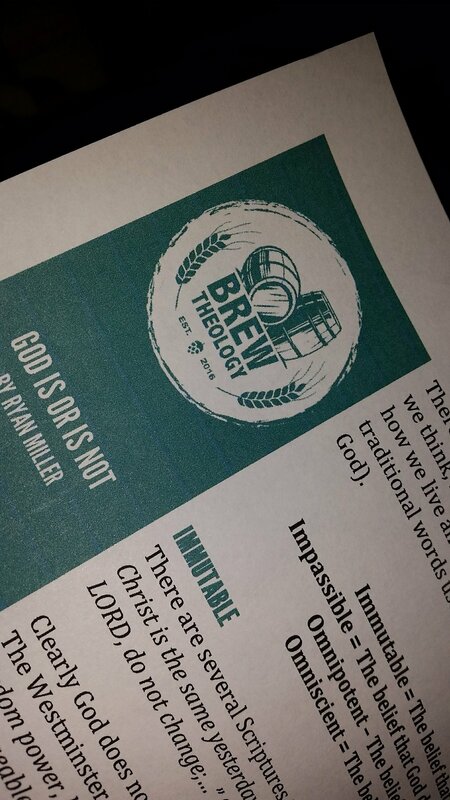 We will prepare you for the things you might face while leading your Brew Theology group. We have a training guide available as you get set and we offer ongoing Q&A as you run into problems. Here. Have some curriculum. That can be a beautiful thing to hear. The topics are chosen, the resources are already available. All you have to do is read and show up. We do our best to make sure that you can lead the topics with knowledge. Sign up for our curriculum samples today.